Reviews of the Nikon D800 from around the web. When the Nikon D800 was announced, the specification that got everyone's attention was - and to a large degree still is - the massive pixel count of its 36.3MP CMOS sensor. When a moderately-sized full-frame DSLR body aspires to go toe-to-toe with medium format cameras and backs at a fraction of their price, other attributes can seem secondary. But don't be misled. Coming as a successor to the now 3 1/2 year old D700, Nikon has updated much more than just the resolution. The D800 has a significantly more advanced feature set than its predecessor, particularly in terms of its video capabilities that make it, on paper at least, a viable and tempting option for professionals. 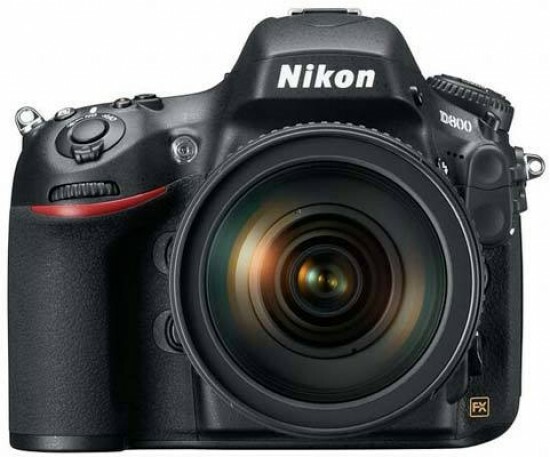 The Nikon D800 is a full-frame 36 Megapixel DSLR with 1080p video capabilities. Announced in February 2012, it arrives three and a half years after the D700, Nikon's first 'affordable' full-frame DSLR. Three and a half years is a long time in the digital camera industry and to describe the D800 merely as highly-anticipated feels like an injustice. This is a camera which many people have been waiting a very long time for and Nikon has pulled-out all the stops. The D800 features the world’s largest resolution full-frame sensor. Just how good is it? Find out in the What Digital Camera Nikon D800 review. The Nikon D800 is the highest resolution DSLR, along with its nearly-identical twin the Nikon D800E which uses the same sensor without an anti-alias filter. With a 36 megapixels full-frame sensor, the D800 exceeds the nearest model by 50%. Given its huge advantage, it can produce the largest prints except for considerably more expensive Medium Format cameras.